An ambassador who is also a popular nollywood actor Mr Chiwetalu Agu has added his own voice in the call for peaceful observation of the 30th May Sit At Home which was declared by the highest command of IPOB to be observed in every part of Biafra land and beyond. During an interview that was conducted by Family Writers correspondents, Egwuatu Chukz and Kings J.v. Chibuzor, Chiwetalu Agu explained that Biafrans under Nigeria is like the regime of the Israelites under the leadership and suppression of Pharaoh of Egypt. He stated that the time to join hands together as one people in fighting for the total liberation of Biafra is now, no matter the office Biafran politicians may be occupying in Nigeria political space. He also lamented about the killings of innocent Biafrans who were massacred at Nssuka by the house/Fulani hardsmen, the killing of over 2000 unarmed Biafrans in Nkpor by the Nigerian military in khaki and also the secrets execution of innocent people in other parts of the country without the intervention or proper investigations by the federal government. Chiwetalu Agu during the interview categorically explained to Biafrans the importance of seeking the face of the supreme creator (God) in Biafra restoration. He said that God's presence in Biafra restoration, Biafra will be delivered and it will put an end to intimidation, molestation and killings from the hands of the oppressors. And the reason for the sufferings every where in the land is because Biafrans are not close to the Creator (God). 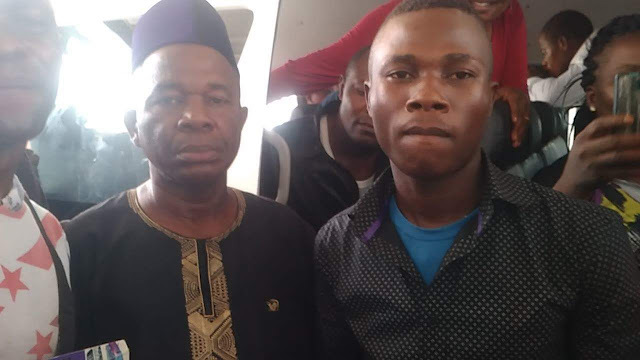 Continuing, on the Sit-At-Home, he promised to observe the 30the May Sit At Home inside a popular hotel located in anambara state where he will be going for his video shoots in the state. In conclusion, he added that IPOB led by Mazi Nnamdi Kanu as a freedom fighting organization is really trying their best, and also insist that their best was not enough. 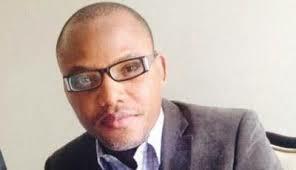 He urged them to add more pressure to their unquenchable blazing fire towards the struggle for Biafra restoration. THE SIT AT HOME IS A WELCOMED DEVELOPMENT BUT MUST BE OBSERVED PEACEFULLY, HE SAID."